Outdoor Aluminium armchairs. Lightweight and stack able. Available from stock for a fast and free delivery. 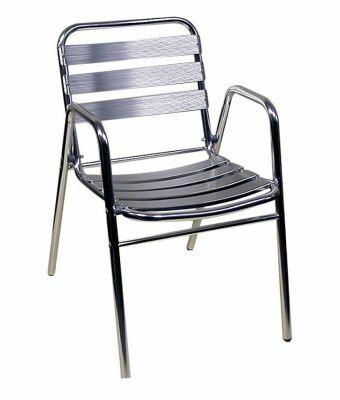 Lightweight aluminium arm chairs held in stock for a quick delivery. Suitable for use in cafes, bars and other contract applications.